It’s never easy leaving home – especially when you come from Vermont, home to Pure Vermont Maple Syrup, Cabot Cheese, Lake Champlain Chocolates and Maple delicacies beyond compare. We may not be able to transport mom from the kitchen to the college dorm room, we can help send some tender loving care in the form of delicious Vermont foods! 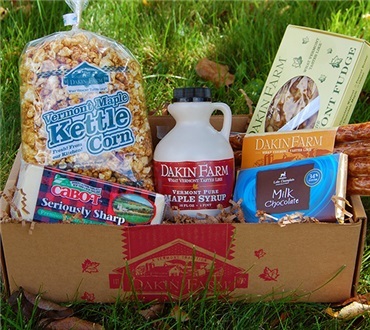 From the Sugar Maple Groves of the Champlain Valley to the New England Dairy Farms to the Shores of Lake Champlain – home to Lake Champlain Chocolates – comes this care package designed to bring a taste of Vermont to your student!